Star Wars 8: Knights of Ren Scene Details Revealed? Rian Johnson remains hard at work on Star Wars: Episode VIII, with the production schedule taking him and a few important actors to Ireland. 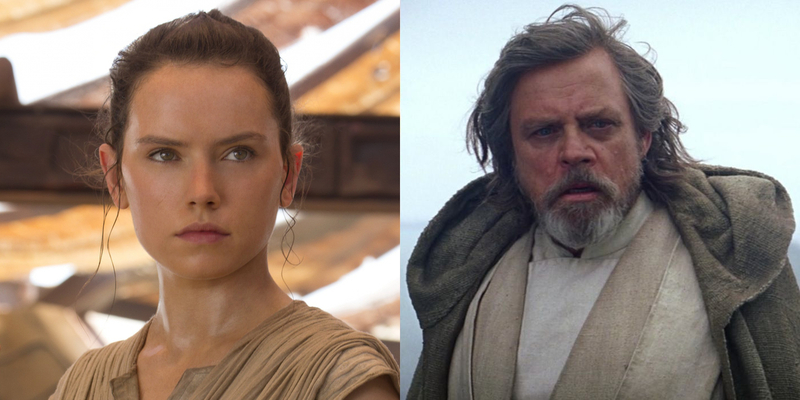 Mark Hamill, Daisy Ridley, and Adam Driver have all joined their director in the country, setting the stage for a possible showdown between three powerful Force users. Should that pan out, it appears that the former Ben Solo will be bringing some help with him, leaving his Jedi opponents outnumbered. 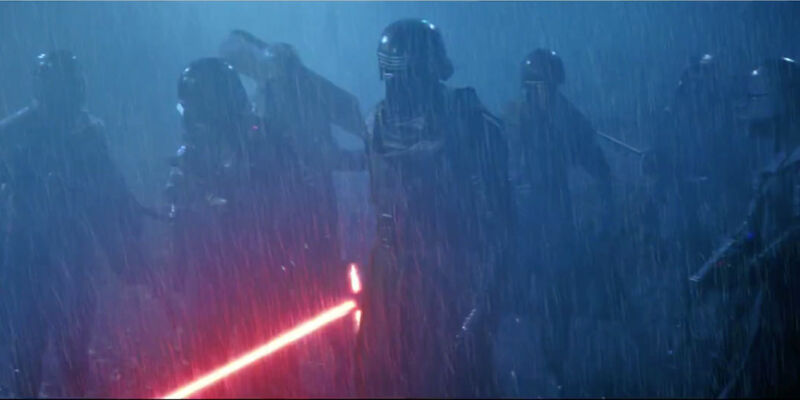 It's mentioned once in Star Wars: The Force Awakens that Kylo Ren is the leader of a group called the Knights of Ren, which can be seen during Rey's Force vision on Takodana. Nothing else is revealed about them, and viewers do not get to see the team in action. However, according to the latest Star Wars 8 rumor, they'll be featured in the upcoming film in what could be one of the franchise's standout action sequences to date. The following comes courtesy of Making Star Wars, who have proven to be a very reliable source when it comes to speculating about movies set in a galaxy far, far away. Citing a source with knowledge of the shoot at Malin Head, Ireland, they have a breakdown of a scene involving the Knights of Ren arriving on Ahch-To to do battle with Luke Skywalker and Rey. When the villains show up just before nightfall, Kylo (who is said to not be wearing his mask) takes Rey one-on-one in an attempt to extract revenge following their encounter on Starkiller base. Their latest duel sees the two fight alongside a cliff face that overlooks the water. At some point, Rey is "taken out of the battle," though it's unknown if she is injured or went over the side of the cliff. From the sound of it, the heroine is not killed in action and could just be in a tight spot. Meanwhile, Luke does battle with the other Knights of Ren (possibly seven). After dispatching the first one with a Force push, Skywalker uses his lightsaber to fight the remaining knights one-by-one. He apparently makes quick work of the squad, and then turns his attention to Kylo Ren. Seeing his former master "casually" approaching him, Kylo flees. The source's account of the sequence concluded after this point, so what happens afterwards is anyone's guess for the time being. As one would expect, " a lot of wire work was used" to film the set piece. Should this turn out to be true, it could be a visual treat for longtime Star Wars fans. In the movies, viewers have yet to see a Luke who has realized the full extent of his abilities. He had just completed his training at the end of Return of the Jedi, so witnessing the character completely unleashed and a master of the Force is something moviegoers have wanted for years. The filmmakers have toyed around with some fresh concepts in the modern movies (see: Kylo Ren stopping a blaster bolt in mid-air), so one can only imagine what an advanced Force user like Luke is capable of when in combat. There's no denying this sounds like classic Star Wars spectacle, but the larger question about this probable sequence is how Kylo and his allies know to go to Ahch-To for Luke and Rey. The villain was searching for Luke's map during Force Awakens and obviously never obtained the missing piece from BB-8. Whether he tortures a member of the Resistance to uncover the information, somehow tracks the Millennium Falcon, or uses a different method remains to be seen. Regardless, his landing on Ahch-To promises to be an emotionally-charged moment and one fans won't soon forget. NEXT: Frank Oz Recording Yoda Audio for Star Wars 8? Rogue One: A Star Wars Story opens in theaters on December 16, 2016, followed by Star Wars: Episode VIII on December 15, 2017, the Han Solo Star Wars Anthology film on May 25, 2018, Star Wars: Episode IX in 2019, followed by the third Star Wars Anthology film in 2020.